Yoooo JOE! : Win an online game session. Master of the Universe! : Reach max level. Wings of silver: Collect 35 Solar on a drop-pod drop. Slimer’s evil twin: Kill the Solar boss in an online game session. Awesomenauts, roll out! : Unlock 3 characters. Thunder, thunder, thunder! : Get a killing spree. In pole position: Make the most kills of both teams in an online game session. Party at Sky Vault: Win a game session with 2 friends splitscreen. Let our powers combine! : Play a game session with friends invited through the game session setup. Bionic family: Win game sessions with six different characters. T-U-R-R-E-T powah! : Destroy 25 turrets. Hawk, wolf, puma and bear: Kill 1000 droids/creeps. 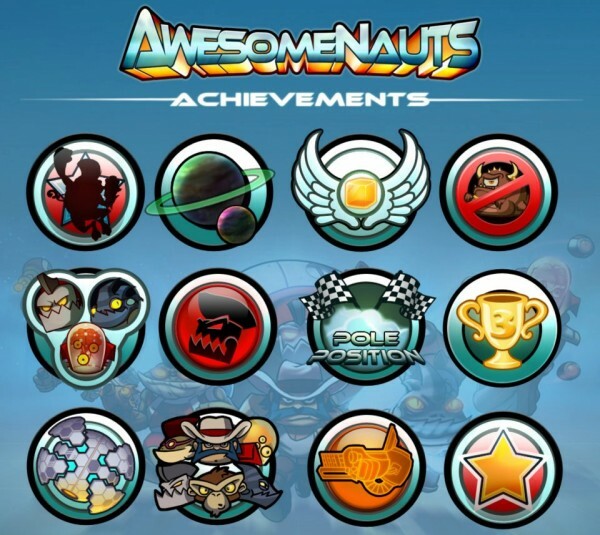 Awesomenauts is a 3-versus-3 MOBA (multiplayer online battle arena) title from Ronimo Games and DTP Entertainment. The game features tug-of-war style gameplay, with teams of three attempting to push their way into enemy teams’ territory to destroy an objective with the help of smaller, computer-controlled units. 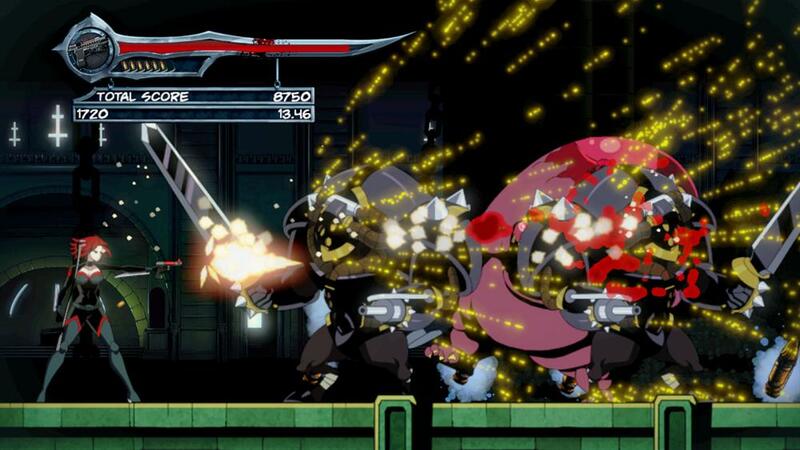 The game hits for the Xbox Live Arcade May 2; the price is 800 MSP.